Dan Watanapongse has served as the Executive Vice President and Chief Financial Officer for Intelligent Medical Objects (IMO) since April 2017. Prior to joining IMO, Mr. Watanapongse was the Senior Vice President and Chief Financial Officer of Sterigenics, a Warburg Pincus portfolio company. Prior, Mr. Watanapongse was Vice President and Chief Financial Officer for the Grocery and Drug Segment at Sears Holdings Corporation. Before joining Sears Holdings, he held financial leadership roles with Bosch and SPX for nearly 10 years that included the roles of Chief Financial Officer of various operating business units as well as the Chief Audit Executive for SPX, a Fortune 500 global multi-industrial. 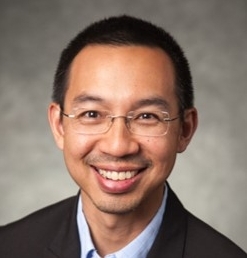 Before joining SPX, Mr. Watanapongse held progressive management positions with Deloitte and Arthur Andersen in their M&A Services and Audit Assurance groups.